The State Championships are held the first weekend in March in Columbus if the team make it through districts. 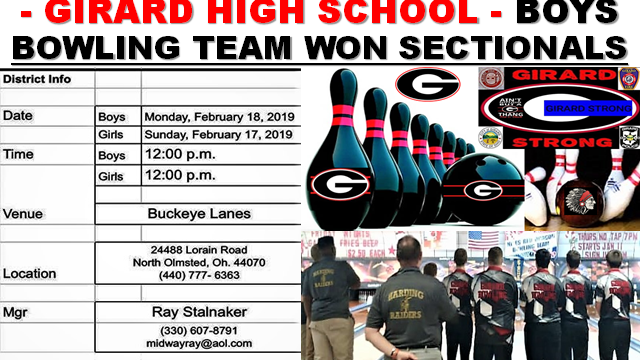 Girard Varsity Girls Bowling Team placed 3rd. NOTE: There are other girls on the roster that do not have averages.